This study on The Attributes of God is a much needed study for our day. Many Christians have such a low view of God and this is a tremendous hinderance to a proper worship of God. It is a fact, a low view of God will effect everything about us and everything we do. Theology matters. Through this study on the attributes of God we aim to enhance and make more Biblical your view of the Almighty. I look forward to your feedback on this study of the Attributes of God and seeing this family worship podcast blossom into something useful in God’s glorious kingdom. “Acquaint now thyself with Him, and be at peace: thereby good shall come unto thee” (Job 22:21). “Thus saith the Lord, Let not the wise man glory in his wisdom, neither let the mighty glory in his might, let not the rich glory in his riches: But let him that glorieth glory in this, that he understandeth, and knoweth Me, that I am the Lord” (Jer 9:23,24). A spiritual and saving knowledge of God is the greatest need of every human creature. The foundation of all true knowledge of God must be a clear mental apprehension of His perfections as revealed in Holy Scripture. An unknown God can neither be trusted, served, nor worshipped. In this booklet an effort has been made to set forth some of the principal perfections of the Divine character. If the reader is to truly profit from his perusal of the pages that follow, he needs to definitely and earnestly beseech God to bless them to him, to apply His Truth to the conscience and heart, so that his life will be transformed thereby. 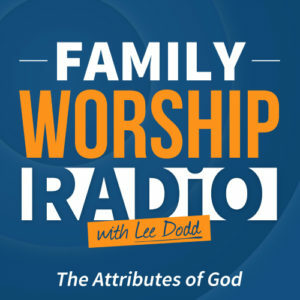 Listen to The Attributes of God episodes @ FamilyWorshipRadio.com.